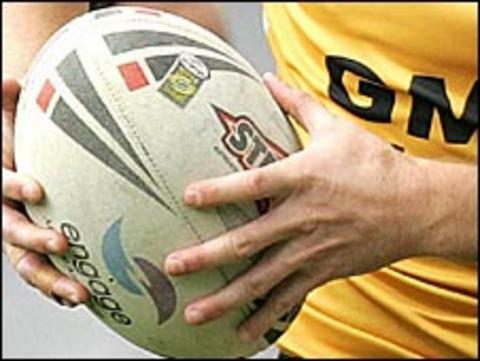 Swinton Lions' wait for the Championship One title goes on as they lost 20-18 at home to Keighley Cougars. The Lions still have a six-point lead at the top of the table and need one win from their remaining three games. "We knew how important the game was, there is no doubting that, but we just didn't perform," head coach Steve McCormack told BBC Radio Manchester. "Our completion rate at times was poor and when we got in try scoring positions we played some good stuff." The Lions were unbeaten in their first 11 league games, but have now lost three of the last six fixtures. "We're disappointed but we've come along way in a short space of time as a team," McCormack added. "We've got a few more weeks to make sure we get our act together and I'm sure we will. "We've got South Wales here next week and whenever we've had a defeat we've generally bounced back staight after."